Almost a year after its global debut, the Rolls-Royce of SUV has finally landed in the Philippines. The Cullinan, dubbed the Most Luxurious SUV in the World, will enable Rolls-Royce to tap a new breed of customer: those who demand the ultimate in luxury while traversing the most challenging terrain. 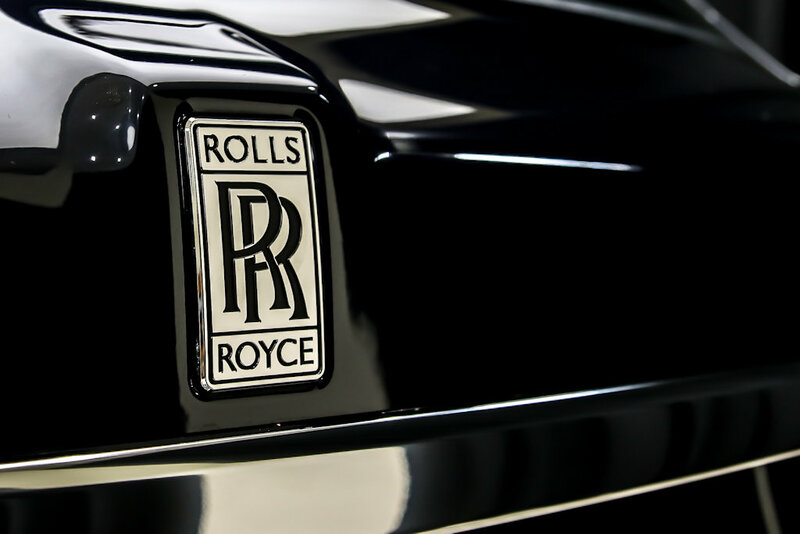 The Cullinan possesses a bold, functional, and dynamic design language that combines traditional Rolls-Royce design cues with something more adventurous. Upfront, there is the Pantheon grille and deep-set laser headlights. Towards the side, the high-bodied SUV (maximum height is 1,836 millimeters) is cut and accentuated by 22-inch wheels. 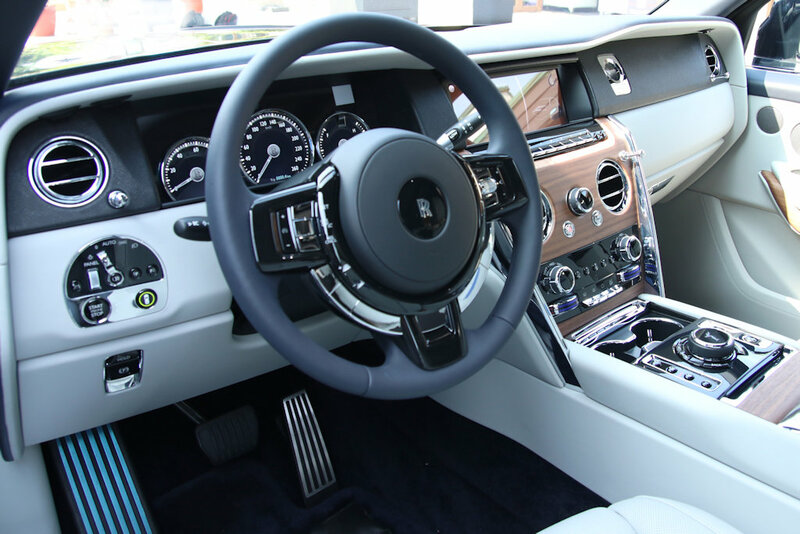 Cullinan comes with two interior options. With space for three passengers in the rear, the five-seater ‘Lounge’ seating version is perfect for Filipino families. The rear seats fold down electronically either completely, creating a flat load area or in a 2/3 and 1/3 split, increasing practicality even further. Rear passengers can still travel with a long load, or use the carpeted seat back as an occasional table on which to rest their precious personal items. The rear compartment offers a standard 560 liters of space, growing to 600 with the parcel shelf removed. With both rear seats folded, the Cullinan offers a loading length of 2,245 mm and load capacity of 1,930 liters—one of the largest in the luxury SUV segment. The four-seater version of Cullinan, also known as the Individual Seat configuration, provides for the highest level of luxury in the SUV segment. The two individual rear seats are separated by a Fixed Rear Center Console, which contains a drinks cabinet with Rolls-Royce whisky glasses and decanter at the front, and champagne flutes and refrigerator in the rear. The seats feature ventilation and massage functions, and can be adjusted over a number of planes to offer ultimate comfort for rear seat passengers over longer. In this Individual Seating configuration, a truly unique glass partition behind the rear seat isolates the passenger cabin from the luggage compartment, resulting in some of the lowest levels of noise recorded in an SUV cabin, while also protecting the Cullinan’s occupants from temperature changes even when the luggage compartment is open. A fashion theme is evident in the cabin in either version, with the upper dashboard fascia clad in a newly-developed and contemporary-looking ‘Box Grain’ black leather, a durable and water-resistant boarded leather similar to that used in Italian high-end luggage and handbag design. 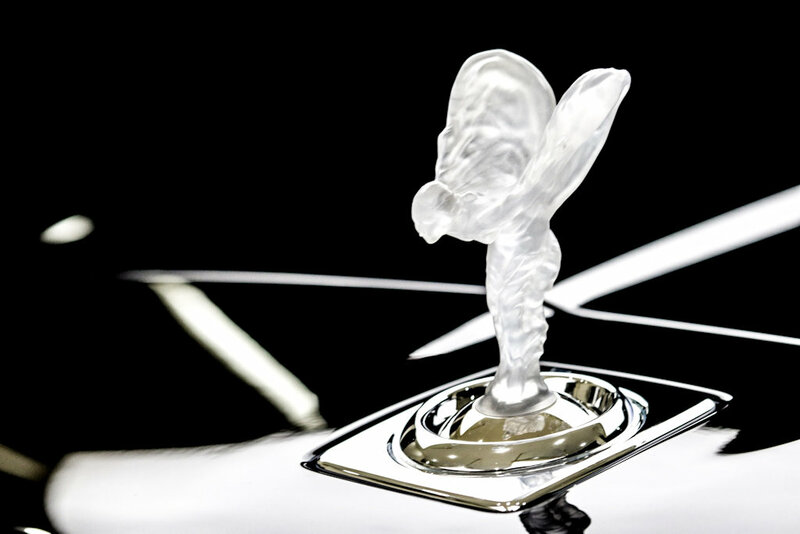 Cullinan is the most technologically advanced SUV of its type in the world. On activation via its key, Cullinan lowers itself by 40mm to make entry, through segment-unique coach doors, effortless into its sanctuary of a cabin. Passengers are greeted by wide aperture, electronically-closing doors with touch sensitive door handles. Available features include a panoramic glass roof, a studio-grade 18-channel, 18-speaker Bespoke audio system, a touchscreen operated infotainment system, and of course, the signature picnic tables. Underneath the Cullinan is the Rolls-Royce’s unique all-aluminum architecture called the ‘Architecture of Luxury”, delivering extraordinary body stiffness for exceptional 'best-in-class' performance on rough terrain, while maintaining the ‘Magic Carpet Ride’ that Rolls-Royce is famous for. Add the latest generation of self-leveling four-corner air suspension, sophisticated all-wheel drive and all-wheel steering systems, a complete reworking of the new 6.75-liter twin-turbo V12 Rolls-Royce engine (850 Nm of torque at only 1,600 rpm) and the world’s smoothest eight speed transmission, and you have the world’s pinnacle luxury SUV. Off-road, electronically-controlled air springs use a powerful compression system to actively push down any wheel when the system detects loss of traction to ensure every wheel is constantly in contact with the ground and maximum torque is delivered usefully to all wheels. Effortless, Everywhere is available from a single source, known within Rolls-Royce as the ‘Everywhere’ button, offering four different programs within the off-road driving mode, in addition to Hill Descent and suspension height controls. The Cullinan also delivers the deepest wading depth of any super-luxury SUV at 540 mm thanks to its ride height. But no off-road trip will ever mess up patrons’ grand plans as is the way with Rolls-Royce’s attention to detail. Both front and rear coach doors wrap low under the sill, ensuring that all dirt remains outside the door. 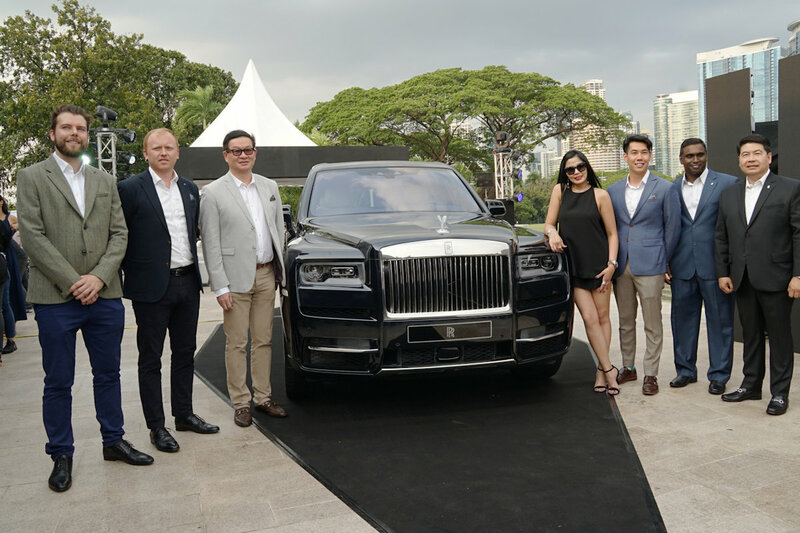 The Rolls-Royce Cullinan presented for display (and in these photos) cost P 53 million. It’s finished in Sapphire Black with a Cobalto Blue Double Coachline. 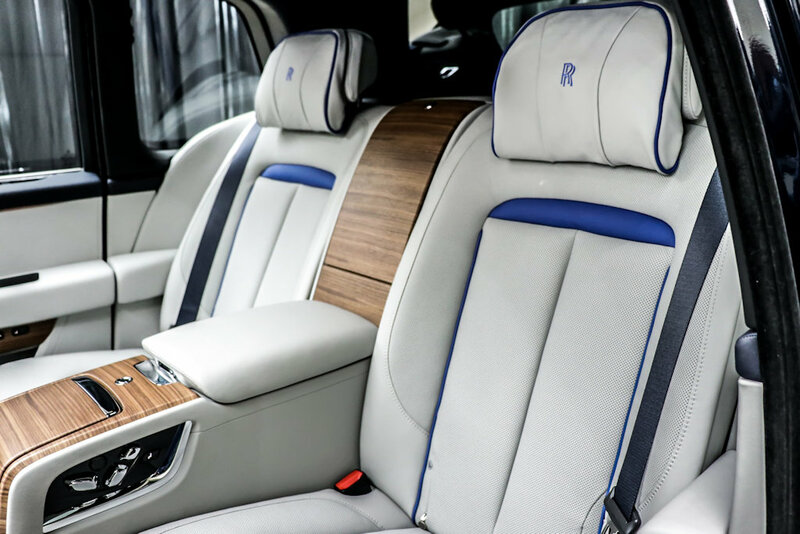 The interior of this Cullinan is upholstered with a two-tone Selby Grey/Navy Blue leather combination, and an open-pore Circassian Walnut veneer. 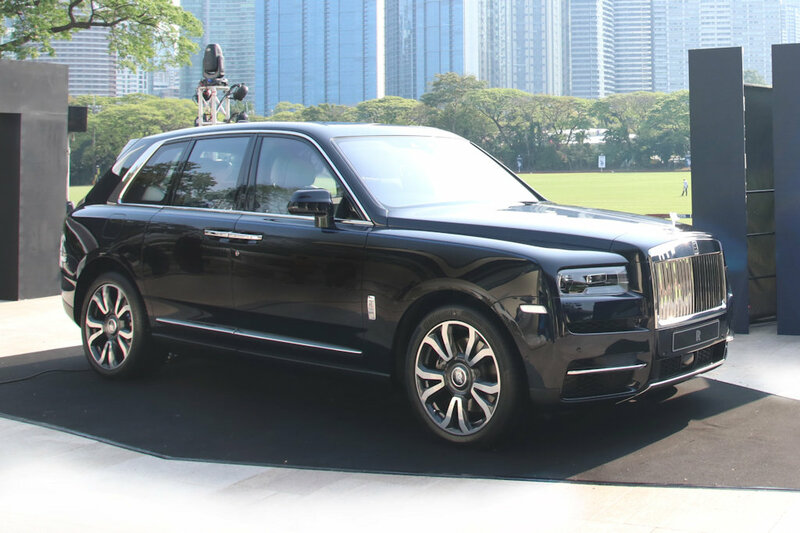 The Cullinan is now available for order in the Philippines, with first customer deliveries beginning in the next few months 2019.